Easy to connect with the cone of the syringe. Surfactant application beyond the doctor’s operational field. Clear field of view. Easy to manage with only one hand. for sliding the catheter with the thumb. for controlling the insertion depth. Little risk of injuring the child. Precise positioning in front of the glottis. Surfactant application made easier for you! Scale for controlling the insertion depth. 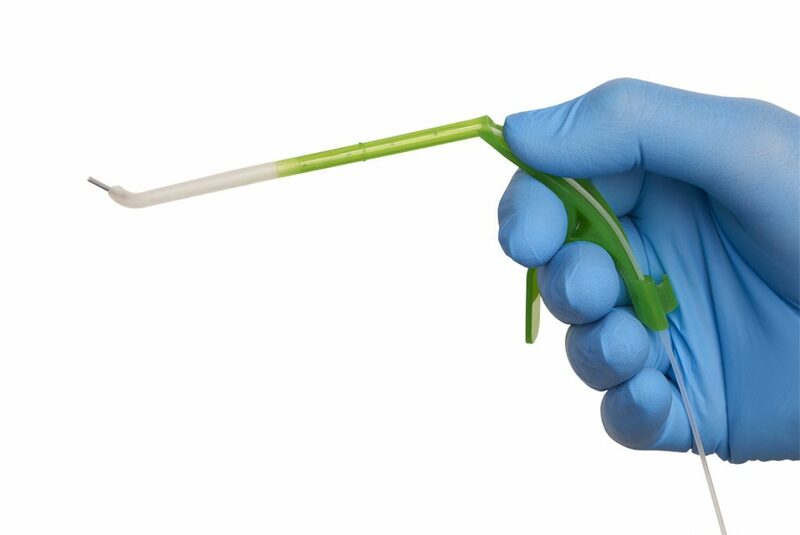 Insert the Neofact® applicator using just one hand. 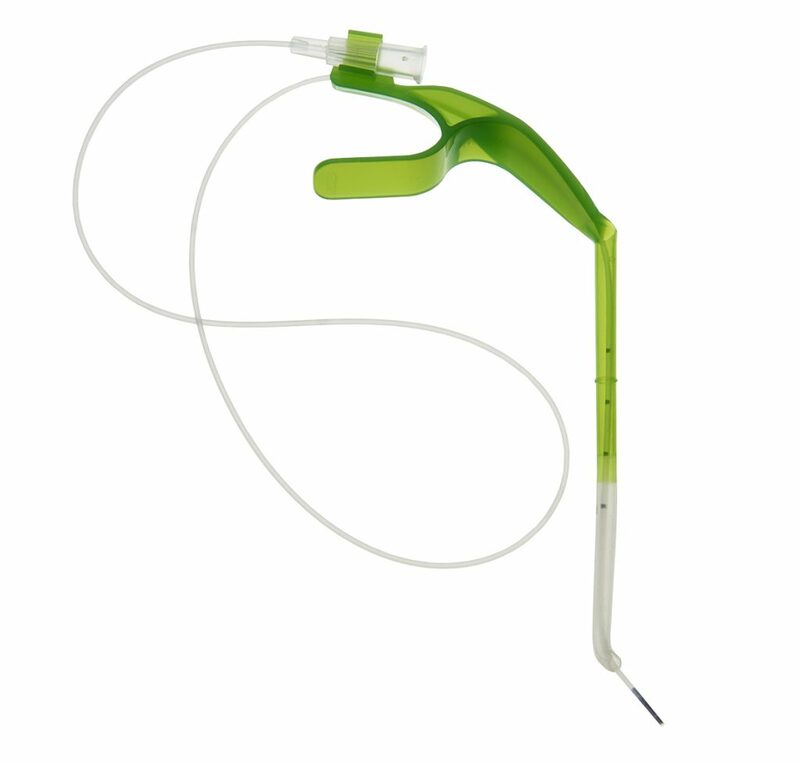 The angled tip means it can be positioned – without the aid of Magill forceps – precisely in front of the glottis. 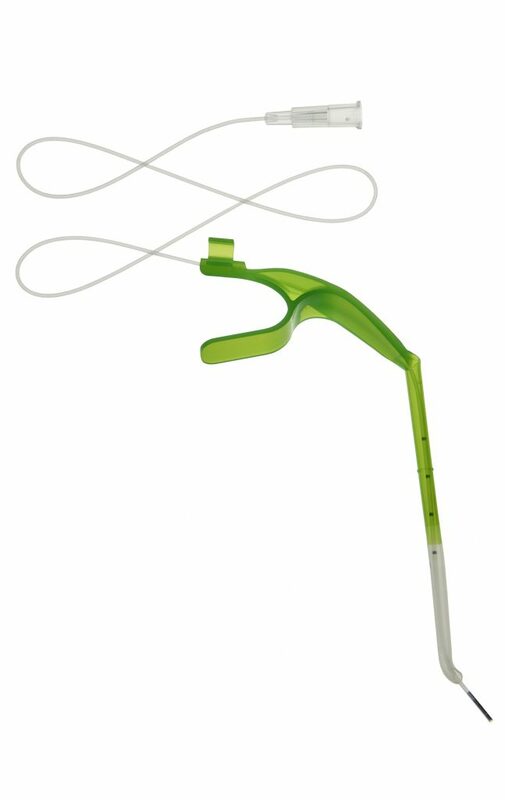 Closely control the insertion depth using the scale on the applicator.